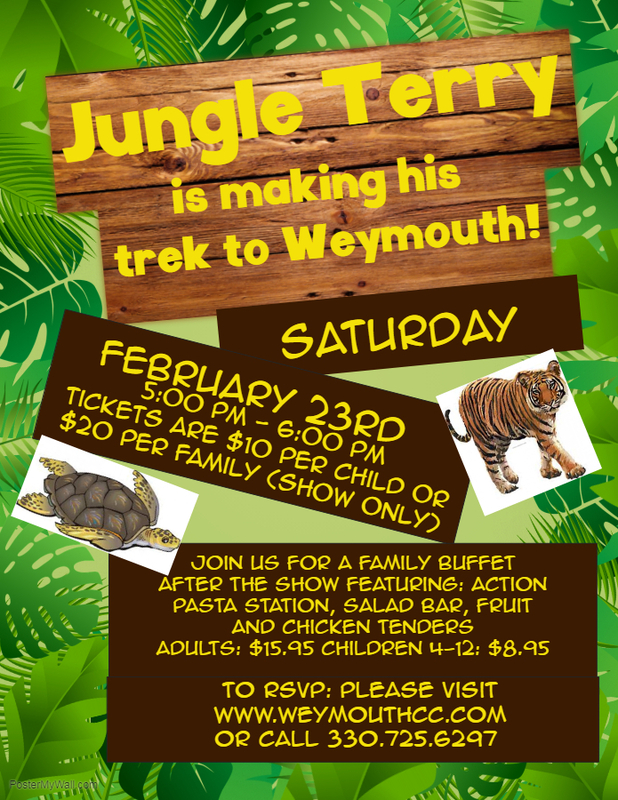 Jungle Terry is bringing his friends to Weymouth for an afternoon of fun! Don't miss out! Stay after for our family friendly buffet!